The year 2017 was marked by many challenges. The great challenge, defined as one that is good for everyone, was the moment when Pred Engenharia maintained its partnership with the Capixaba Association against Childhood Cancer (Acacci), which began in 2016. 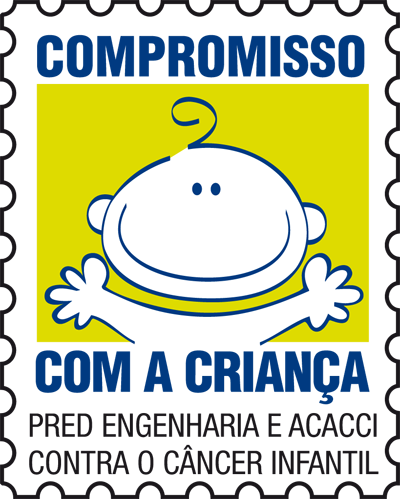 The label 'Commitment to the child' is a recognition of the company's commitment to social responsibility, contributing to the treatment and well-being of children with cancer. Pred Engenharia is committed to the project by conducting thermographic inspections periodically, free of charge and voluntary, which, among other benefits, enables a better negotiation on the value of the insurance premium of the Association. "Our entire team, from the manager to the technical inspector, is very enthusiastic and moved to contribute. Giving yourself for your neighbor is something that gives you joy. We are working since 1993, conducting thermographic inspections, and we have full conditions to offer a great job. In this way, Acacci can devote its precious time in caring for the children and their families, who need both an adequate treatment and support, at such a difficult time, "said Pred Engenharia director Ozório Rezende. The association. Acacci aims to offer children and adolescents with cancer conditions worthy of care and treatment.